It’s Getting Real! 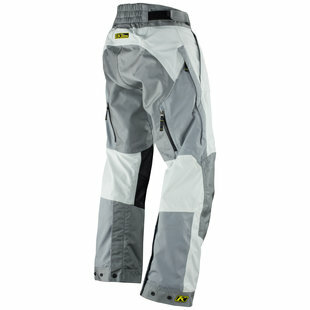 ADV Riding Pants. So it is coming down to the last bits and bobs needed for riding season. Most are less than $50 each. Not bad, and they will come with time. However, there has been one piece of gear that has been hanging over my head for a while now: Riding Pants. The issue is they are quite expensive to purchase and they really are needed. The hips, knees, shins will have armor, the fabric itself will be extremely durable and the seat will have extra for when you have to take to using the tarmac as a slide. While we don’t want to do this, it is possible. The other thing they provide is some waterproofing and wicking to help keep you dry. The thick fabric will also help against things that hit or brush again your legs while riding. So, I have been saving up (slowly) for some good riding pants. I was given an early birthday present and told to go buy them and the cost would be covered. This is a huge relief, as this means I will have them in time for 2 of my scheduled rides coming up soon. Keep in mind, while I do have the waterproof over-pants, they do not offer any kind of armored protection at all, only protection from water and rain. These new pants will give me the armored protection I have been saving for. I have searched, read, looked at sizing charts and asked for opinions on what to get. I was given many opinions, some ranging into fully customizable pants costing over $1000. 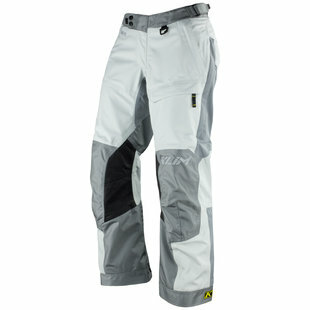 I ended up deciding to go with the Klim Latitude Misano Pants. Very good reviews, more single recommendations than any other pair of pants. I did get the grey/white version to help stand out a little from the rest of the blackness of Raven and my gear. Also, to help with heat during the summer time. Below is what was on the website for them. Should have them first of next week. The lightweight and durable Klim Latitude Misano Pants combine the legendary waterproof and breathable Gore-Tex membrane with Klim’s tough yet comfortable Misano fabric. A full compliment of D3O armor as well as 840D Cordura in high abrasion zones provides unmatched protection without adding excess bulk and weight. Comfortable enough to wear everyday yet packed with features designed to carry you through even the most demanding adventures, the Latitude Misano Pants offer a ton of functionality for those who demand uncompromising functionality and comfort.